Ever since James Bond 007 rode on the famous Aston Martin DB5, Aston Martin has always been Bond’s top choice, even now with his latest ride Aston Martin DB10. No doubt many of us would love to experience this incredible car. 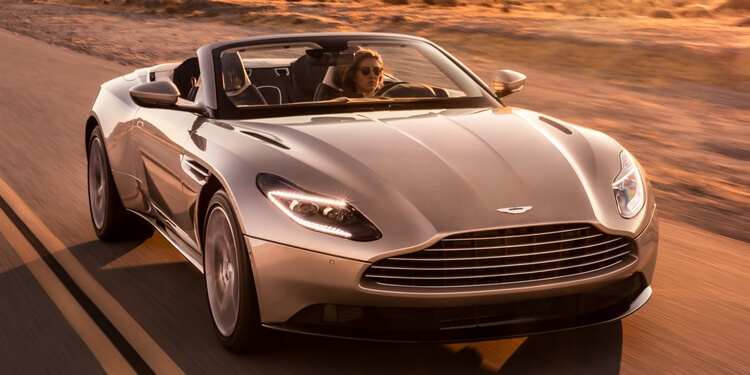 Luckily, we can still re-live the James Bond experience with Aston Martin DB11, and especially the recently-released 2019 Aston Martin DB11 Volante. 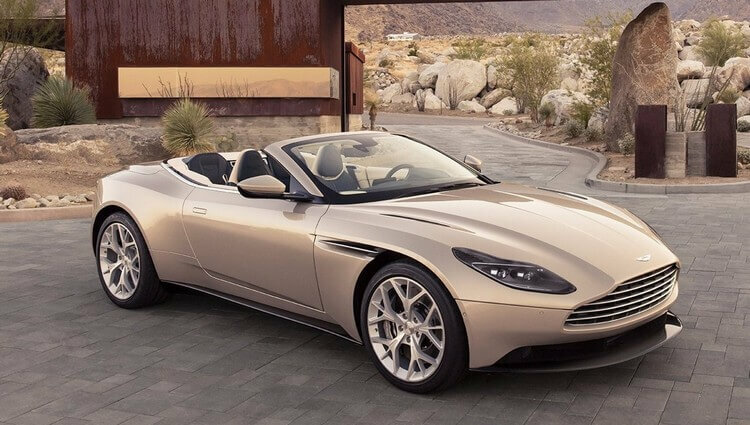 So with no further ado, let’s take a look at the 2019 Aston Martin DB11 Volante! Ever since David Brown, the famous British business, bought Aston Martin in 1947, the Aston Martin DB series was a huge revelation for the company. 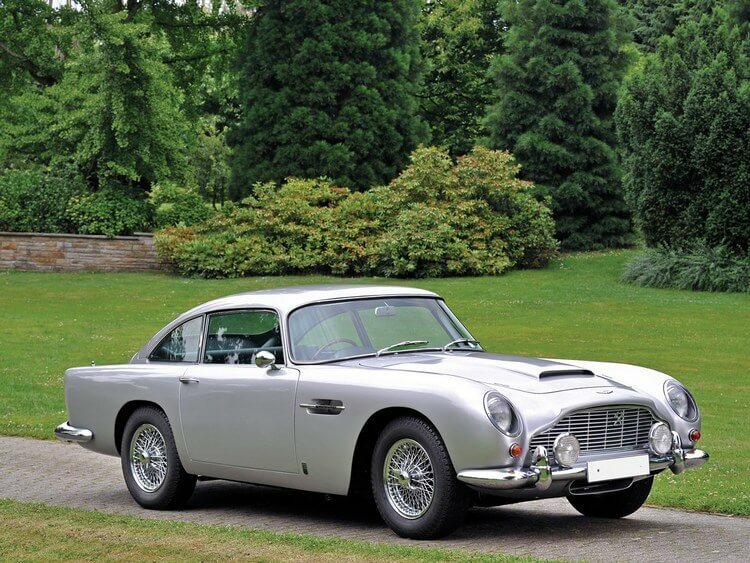 Although all the previous DB models from DB1 to DB4 accomplished quite considerable successes of their own, it was Aston Martin DB5 – 007’s legendary ride which forged Aston Martin’s name into history forever. And since then, Aston Martin DB series has been their pivotal series. Continuing the acknowledged DB series, its latest addition – Aston Martin DB11 was first debuted at the Geneva Motor Show in March 2016. And once again, it was a huge success which was positively received by both fans and critics alike. The fact that it received the Golden Steering Wheel Award as “the Most Beautiful Car” already gives us quite a good idea how incredible this new DB11 is. 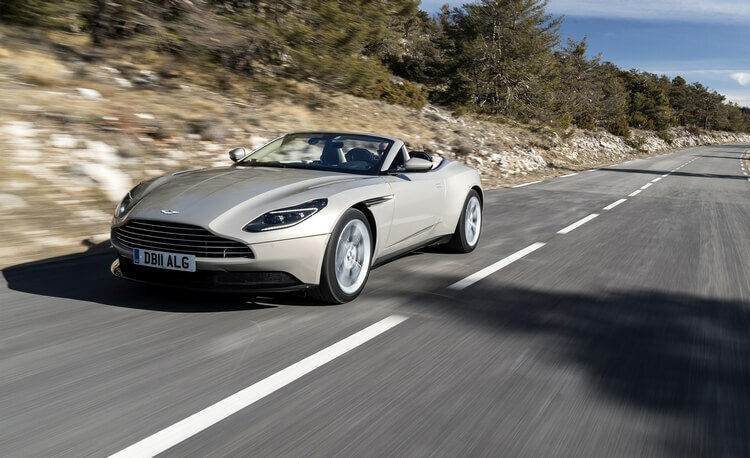 Of course, that would not put an end of the DB11 as the new 2019 Aston Martin DB11 Volante is nigh. Will it be as elegant and impressive as the original DB11? There is only one way to find out! As a luxurious and elegant Grand Tourer, what we want to focus on are the astounding exterior design and comfortable driving experience. First off, let’s start with the exterior! The keyword here is probably “elegance”. 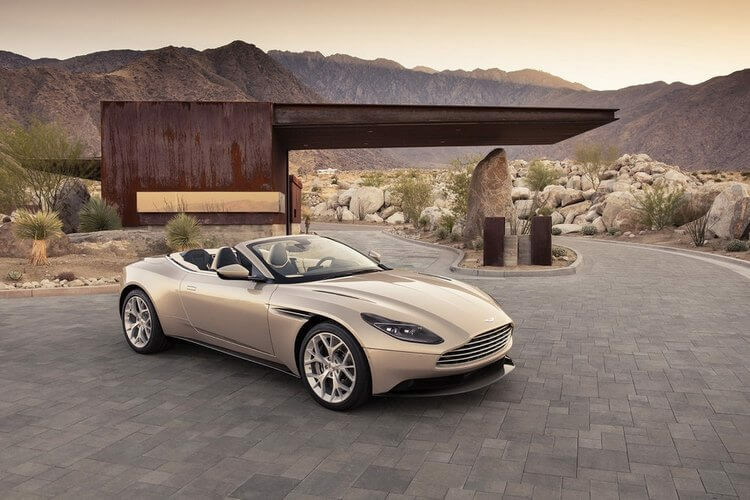 Just like the original DB11, the DB11 Volante looks so incredible, so charming that it is hard not to look at this state-of-the-art sculpture. In first glance, the DB11 Volante still retains most of the original design from the DB11 (except for the roof of course). It still has the muscular lines combining with the elegant details. Of course, since it is Volante we’re talking about, we cannot forget mentioning the top system. By just pressing a button, the eight-layer insulated fabric top will raises within 14 seconds or stows back within 16 seconds, no matter the weather condition or moving speed. It happens so silently, so seamless that you’ll probably never notice unless you pay attention. Not only that, this compact top system also helps saving about 20% more trunk’s cargo space than the DB9 Volante’s. Besides the top, are there any other changes about the DB11 Volante? Well, this time the Volante version includes under-body bracing, which increases about 110 kg to the curb weight, which makes up total of 1870 kg. Now that may sound like a downside at first but in fact, it provides higher rigidity for the chassis which gives more fluidity to the front-end responses. Not only that, the extra weight from the top also rebalanced the DB11 Volante’s weight. Its weight ratio is now 47% front/53% rear, compared to V-8 Coupé’s ratio of 49/51. 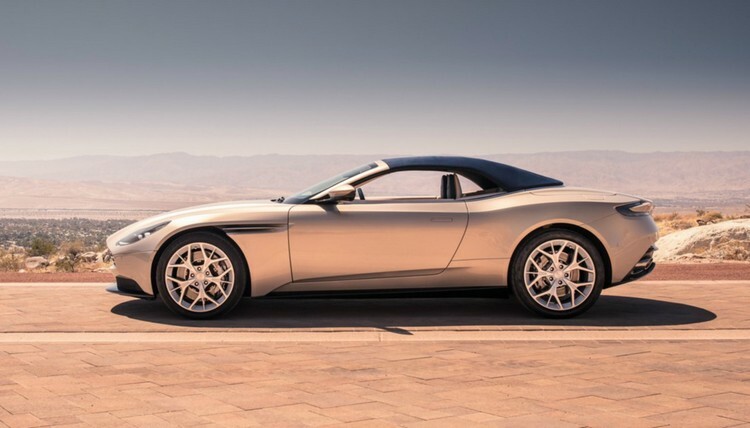 And talking about the V-8 Coupe, the DB11 Volante still uses the same front spring and stabilizer bar rates; however, its rear springs are made 13% stiffer than the V-8 Coupe. So in terms of aerodynamics, “how the DB11 Volante’s aerodynamics work since there is no roof?” some may ask. That is quite an interesting question since the Aston Martin DB11 Coupe does feature the Aeroblade active aerodynamic system. This system directs the airflow from the rear fenders trough the trunk lid which is just ahead of the Gurney flap. But for the Volante, only the Gurney flap was kept since according to Aston Martin, the high-pressure air stays close to the longer and flatter rear deck. Therefore, the system is unnecessary for the DB11 Volante. 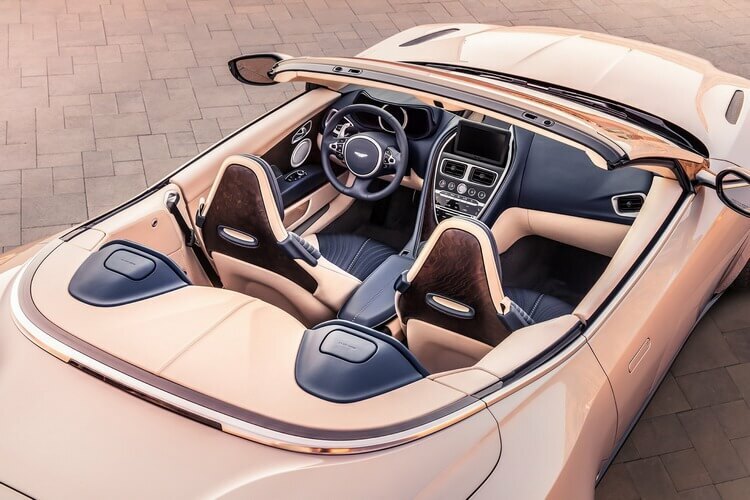 Coming “inside” the DB11 Volante’s interior, we still see lots of luxurious and elegant leatherwork from the door panel, seats, steering wheel, headliner, to the dashboard. The elegances and charms of the DB11 Coupe still remain there like the automatic stereo speakers or the soft, comfortable seats. The vision is great and faultless. However, the interior space may still be a problem to certain drivers. Just like the DB11 Coupe, the Volante only provides decent space. There is no rear seat (although they are not recommended for both adults and children). But since the trunk gains 20% more carry space than the DB9 Volante’s, the lack of rear seat is not exactly a problem. And even if the trunk space is still not enough, we can still put some of the luggage ahead. Coming to the engine part we have the 4.0-litre twin-turbocharged V-8 engine, crafted by the partner Mercedes-AMG. It can unleash 503 horsepower and 513 of torque and as the results, the car can exceed the top speed of 187 mph while the 0-60 mph acceleration only suffers a tiny bit with 4.1 sec (which is 0.1 sec behind the V-8 Coupe and 0.2 behind the V-12 DB11). The V-8 engine still feels strong and aggressive despite being not as smooth as the defined Aston Martin’s V-12. And while having the full AMG’s engine, Aston Martin actually contributed in designing the cooling system situated in the ample space in front of the engine and the exhaust system. For the transmission, we have the 8-speed automatic which works nicely without faults. Driving on the Aston Martin DB11 Volante is quite inspiring indeed. On Grand Touring mode, the Volante provides softest and road-trip friendliest experience. The steering feels smooth and composed while still able to provide commendable sense of urgency and response. The overall structure is incredibly stiff. And while there may be certain shake, it won’t feel that apparent. For most driving situations, Grand Touring mode is the softest choice. Meanwhile, the Sports mode features an extra stiffness for the adjustable suspension. And lastly, the Sports+ mode provides even more firmness along with extra sharpness for throttle response, which is best suit on track. However, it will not be a pleasant choice when on street. 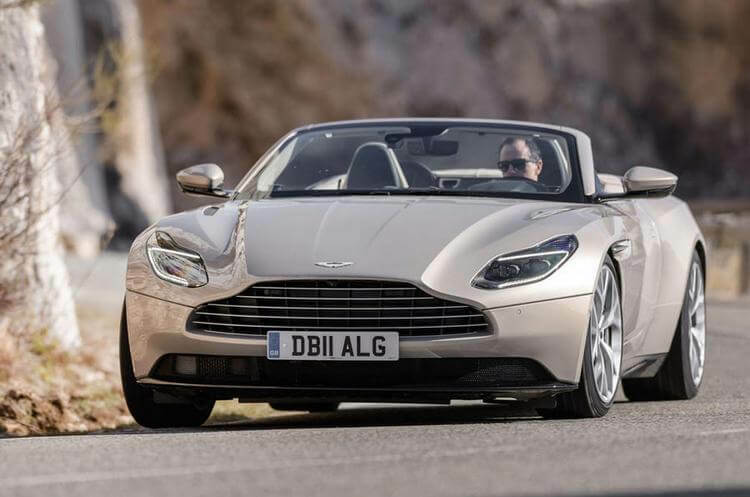 What do you think about 2019 Aston Martin DB11 Volante? Overall, Aston Martin DB11 Volante is definitely an impressive lifestyle car with impressive driving experience on road. Of course the Volante’s powertrain does not exactly impress us like many other wilder, more aggressive sports cars – supercars we focused. However, being that wild and aggressive is not the main point of Volante. It is an alluring state-of-the-art sculpture with its remarkable versatility on roads and its incredible driving experience on road, throughout the cities, or on the romantic trip in Mediterranean Sea. So if you’re looking for a ride with high artistic and usability values, this $216,495 James Bond ride definitely comes out on top. And that’s it folks! 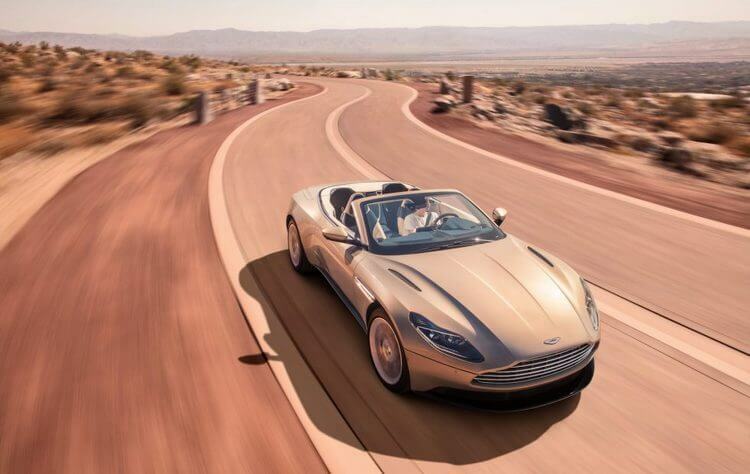 What do you think about Aston Martin DB11 Volante? Feel free to share with us and for now, thank you and stay tune for more news in the future!